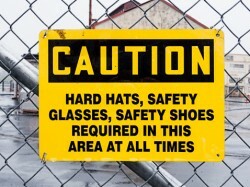 The Coalition for Sensible Safeguards is concerned about the lack of progress toward implementing important safety regulations that would help safeguard American workers. The Coalition for Sensible Safeguards comprises a number of organizations that include small businesses as well as labor, scientific and environmental groups. The group claims that several critical issues affecting the safety of American workers continue to be swept under the carpet. One example is the proposal to limit workers’ exposure to silica. Many construction and manufacturing workers are constantly exposed to silica in the workplace, putting them at risk of occupational illnesses and other health hazards. The Occupational Safety and Health Administration has proposed a regulation that would limit silica exposure in order to protect workers. However, this regulation has been stalled in Congress. There are a number of other workplace safety rules that continue to remain frozen due to lawmakers’ inaction. For instance, the Coalition for Sensible Safeguards wants Congress to take essential steps to reduce the influence of lobbyists on worker protection legislation. Very often, essential worker protections are neglected because of heavy lobbying by vested interests. The coalition also wants to eliminate the delays by the White House Office of Information and Regulatory Affairs, as well as to have more steps taken to ensure that regulations are effectively and strongly enforced.